"She can't take much more of this, Captain!" 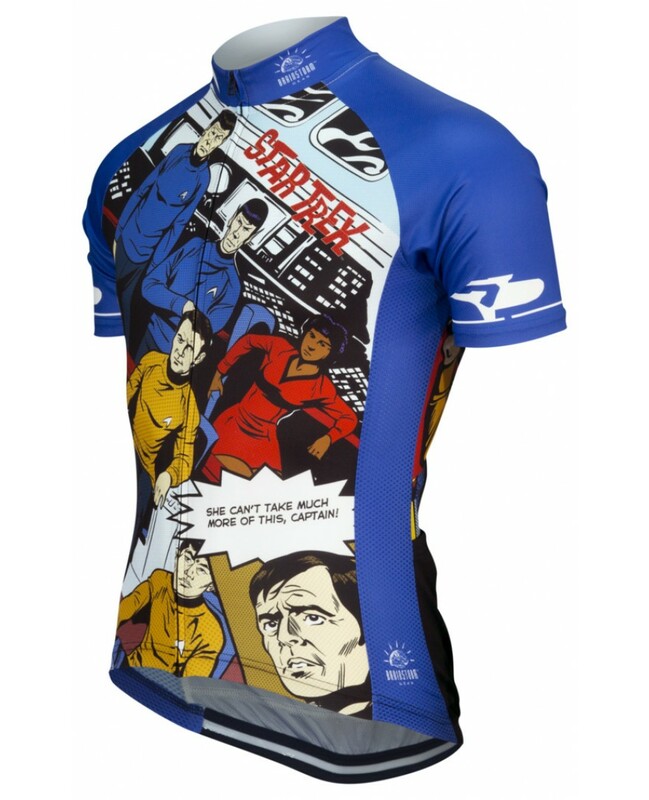 Featuring the main cast from the original series, our new, officially licensed Star Trek "Galaxy Pop" cycling jersey uses the retro art from the late 60's Gold Key comics! 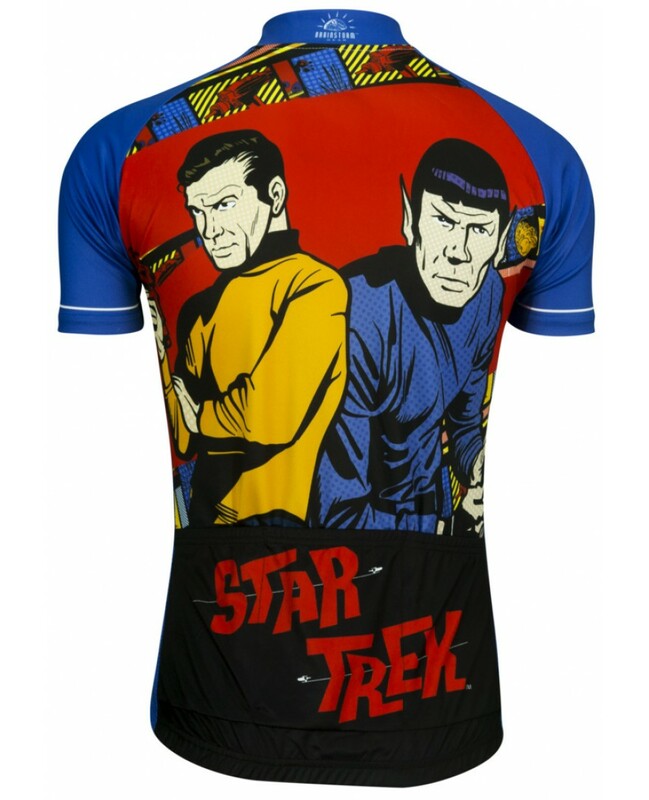 Blown up to show every detail, and Beautifully rendered in brightly colored sublimation - this jersey really pops! 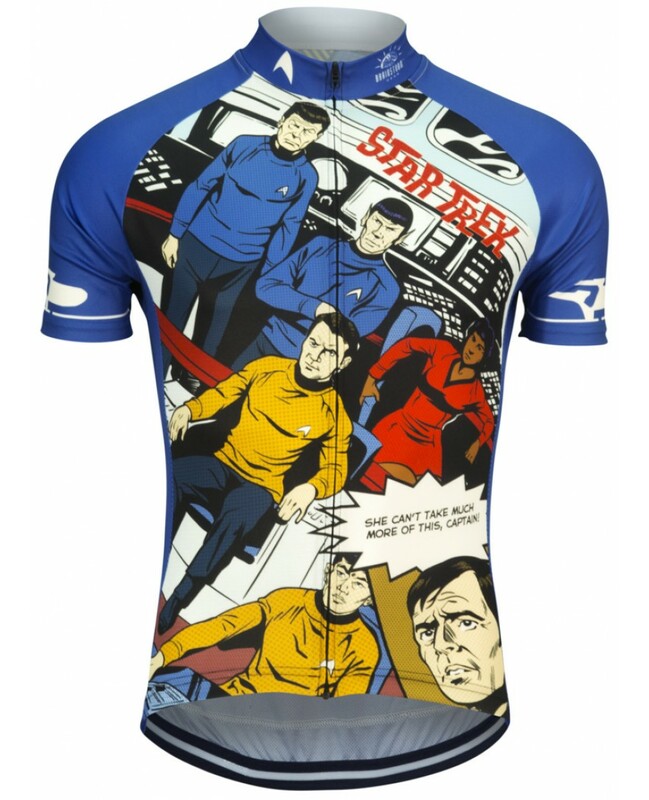 You'll stay cool, dry and comfortable as you speed through space... and turn heads too! Full Length Front zipper and three rear pockets for storage.